Set the oven to 180 degree celcius. A. Mix ingredients 1-8 in mixer on medium high for 2 mins. B. 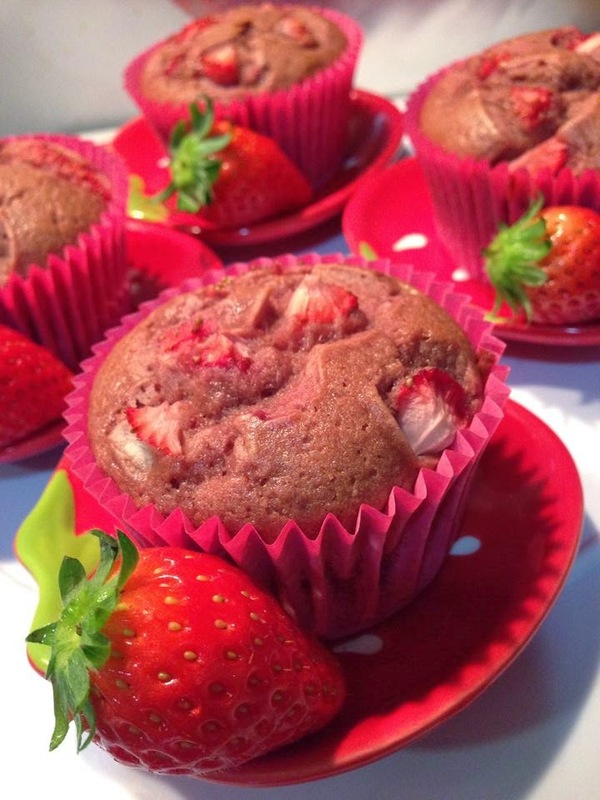 Fill cupcake liners 2/3 full and sprinkle about 5-6 pcs of diced strawberries on top of batter. If you like more strawberries, you can add some after filling 1/3 of the cupcake liner then cover them with more batter till 2/3 full before sprinkling more diced strawberries on top. C. Bake for 30 mins at 180 degree. D. Test with a toothpick; cupcakes will be ready when toothpick is clean when pulled out.